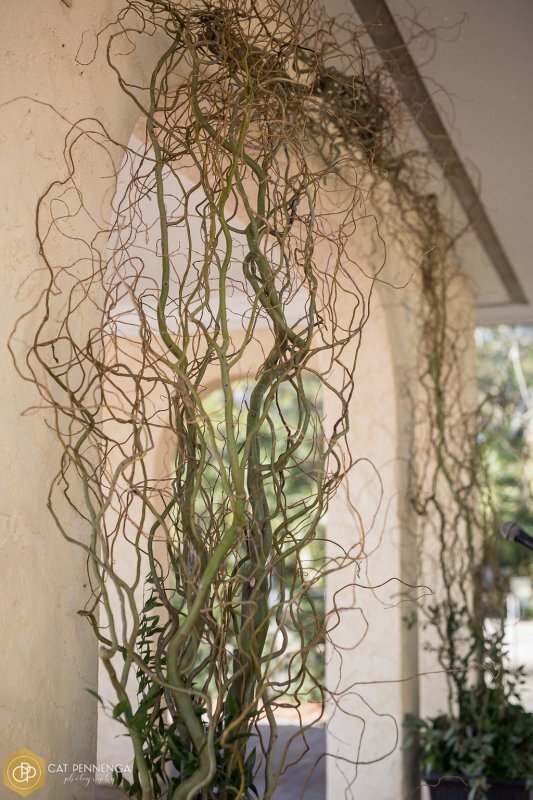 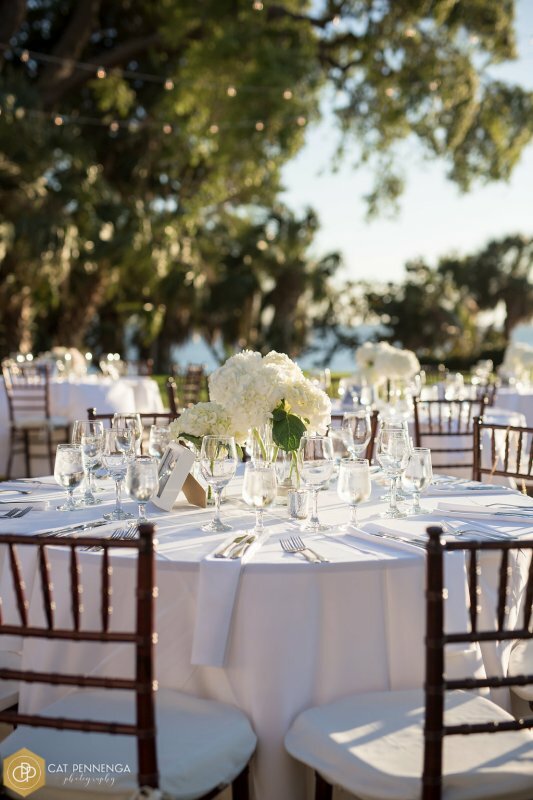 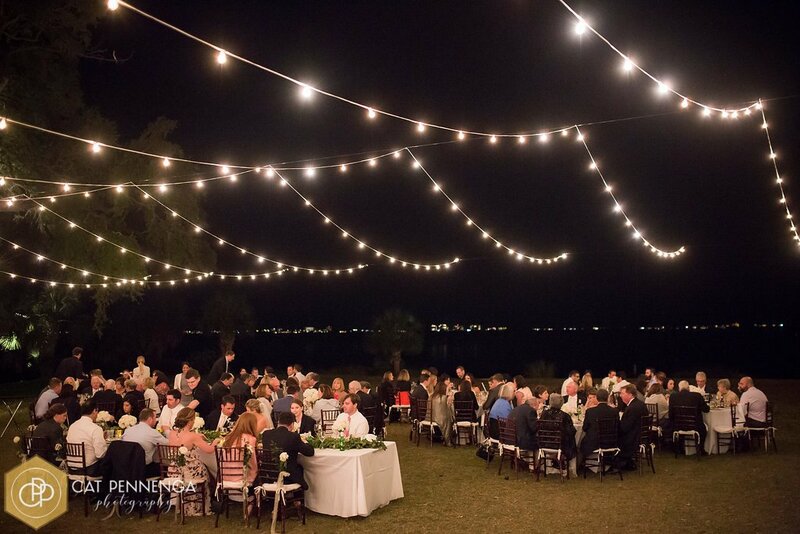 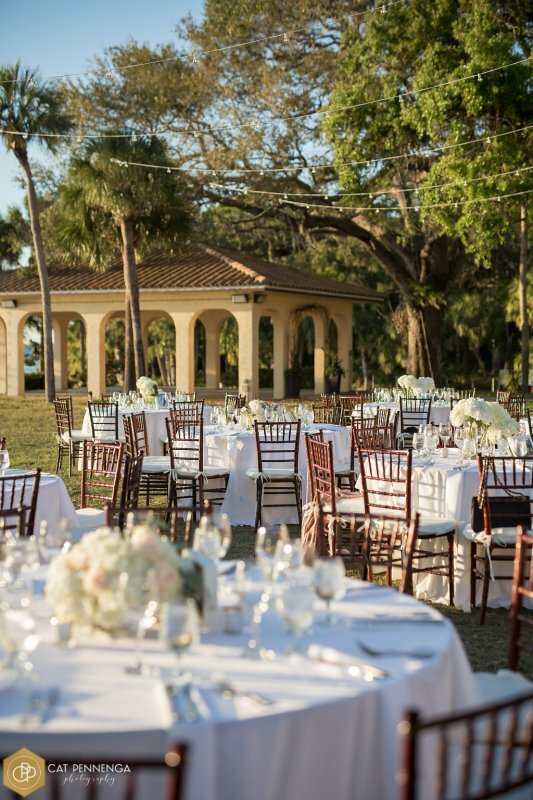 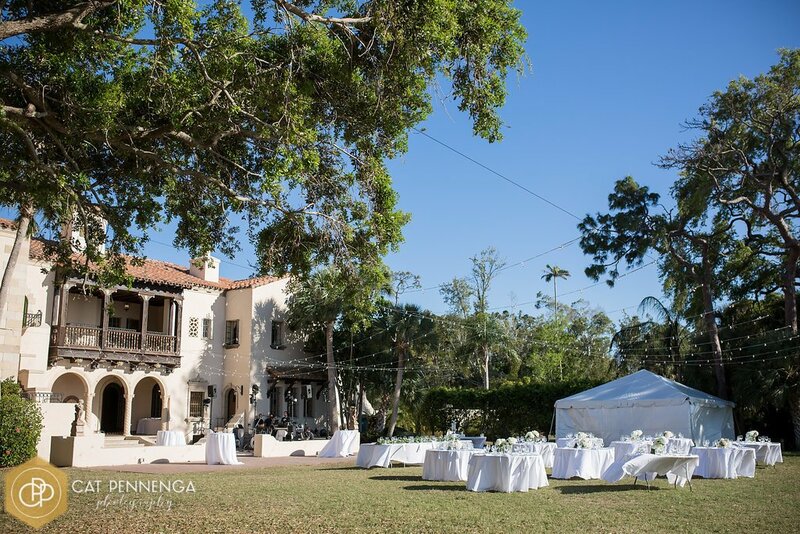 Powel Crosley was the venue for another gorgeous Florida wedding. 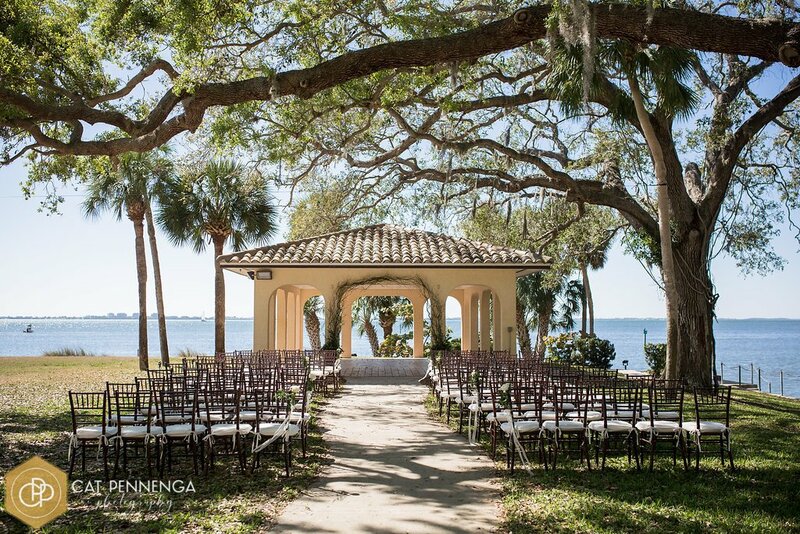 The ceremony was in front of the elegant outdoor pavilion and was a beautiful spot to get married in! 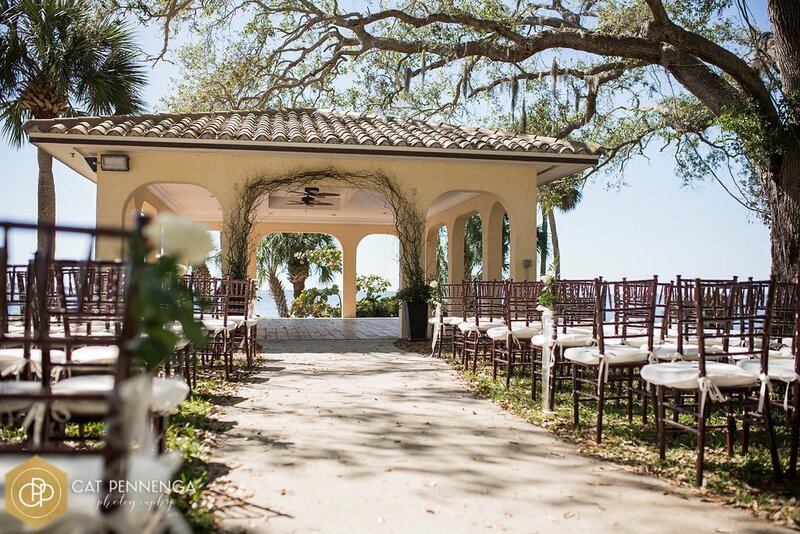 For the ceremony, we created a custom-made willow arch with greenery added into the rattan pots at the base. 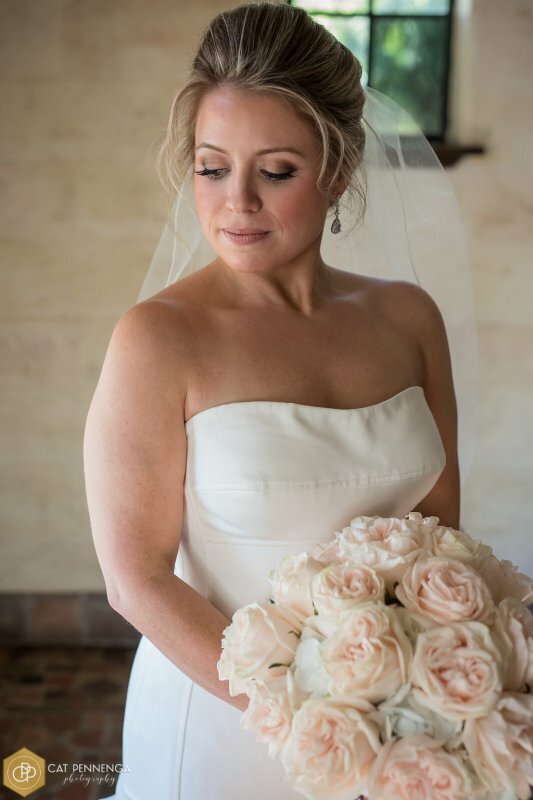 It was a very natural but fresh look! 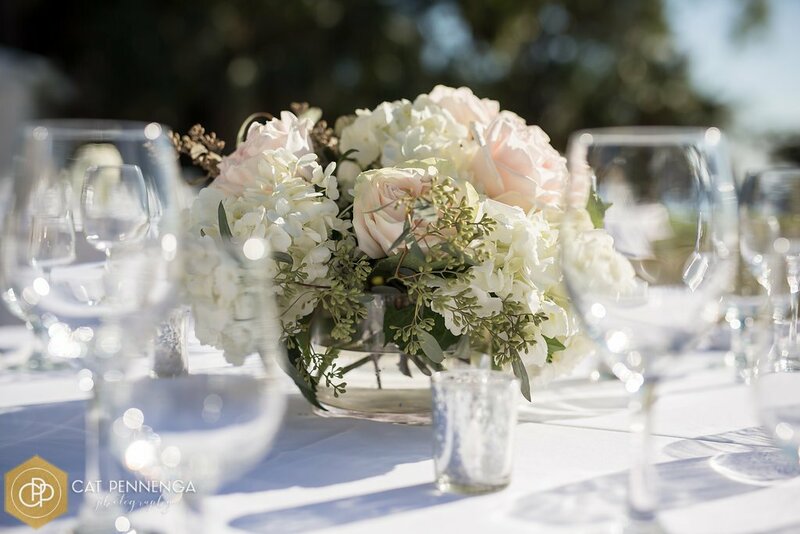 For the reception, which was held on the Powel Crosley Estate lawn, we created 2 styles of guest tables centerpieces—one with 3 cylinders of varying heights with all classic white hydrangea and the other with a bowl of hydrangea and the stunning Wedding Spirit Garden roses that were also in the bridal bouquet. 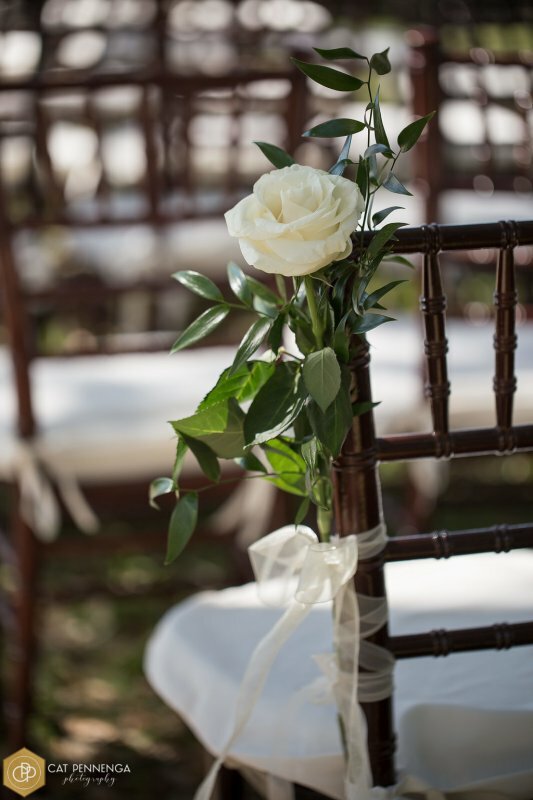 Feminine and classic, Wedding Spirit Garden Roses are the epitome of floral beauty. 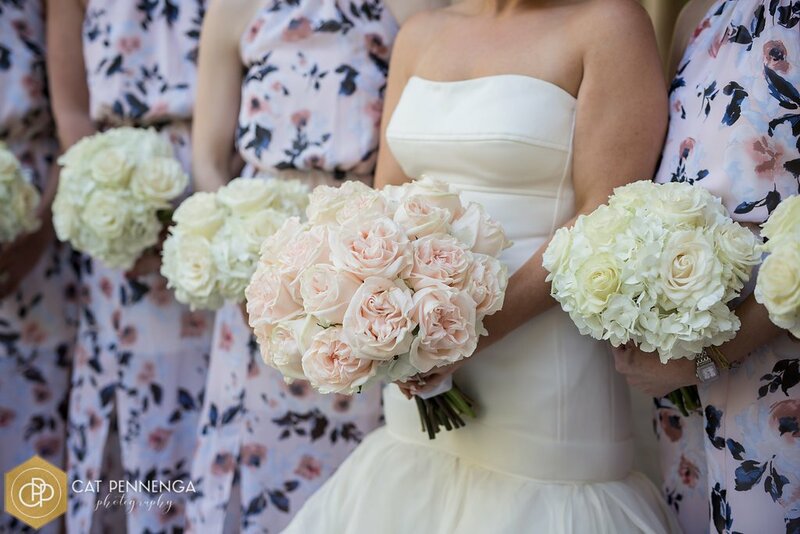 The soft rosette shapes create a perfect bridal bouquet! 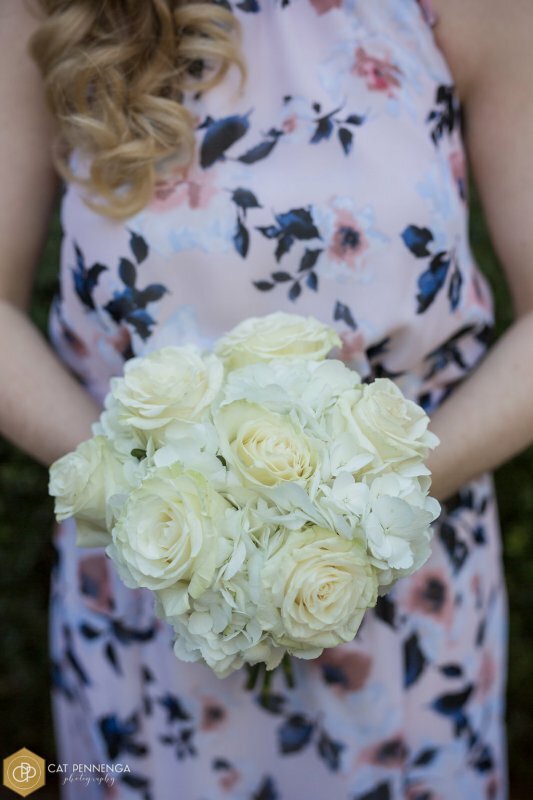 The bridesmaids bouquets also had hydrangea as well as very pretty white Mondial roses. 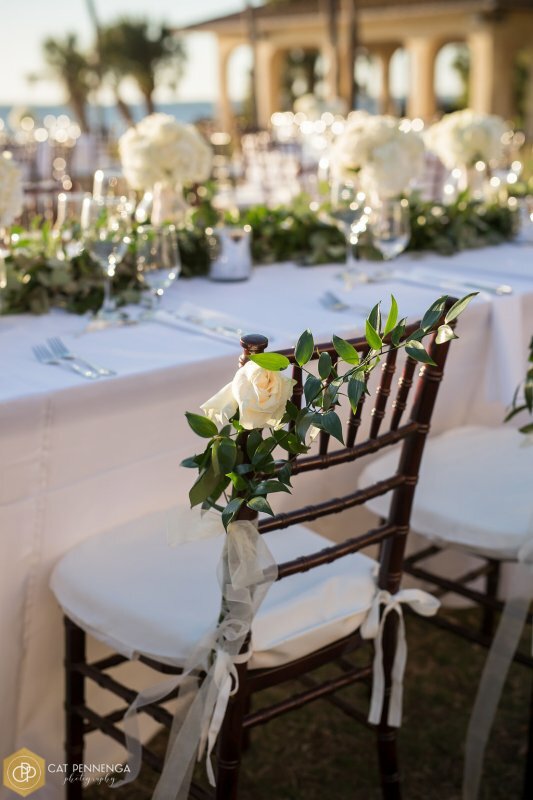 Mondial roses with greenery were also used on the aisle chairs for the ceremony to continue the natural garden look. 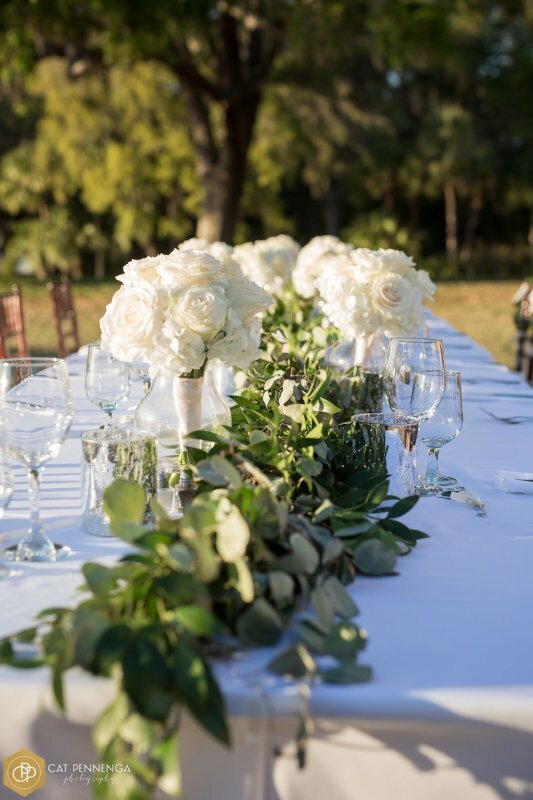 The head table was the popular feasting-style table with a lush greenery garland with the bridesmaids bouquets re-purposed and tucked alongside the garland. 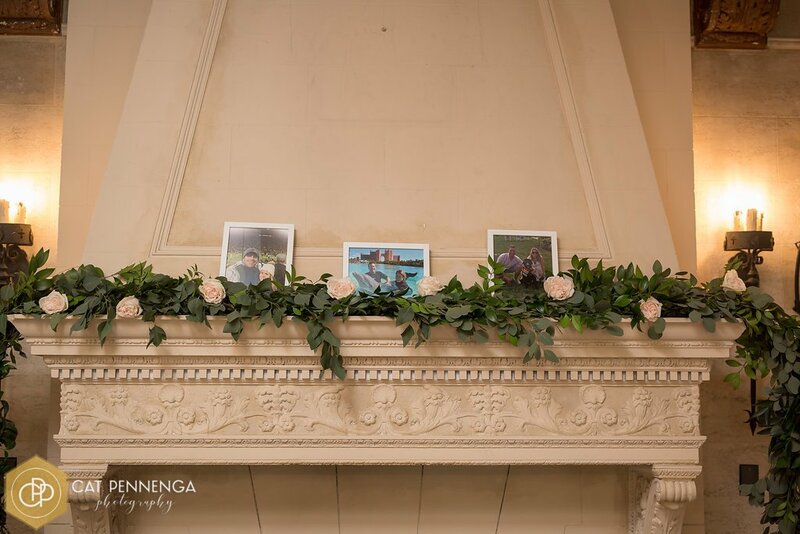 We used greenery garland on the mantle as well with the Wedding Spirit roses. 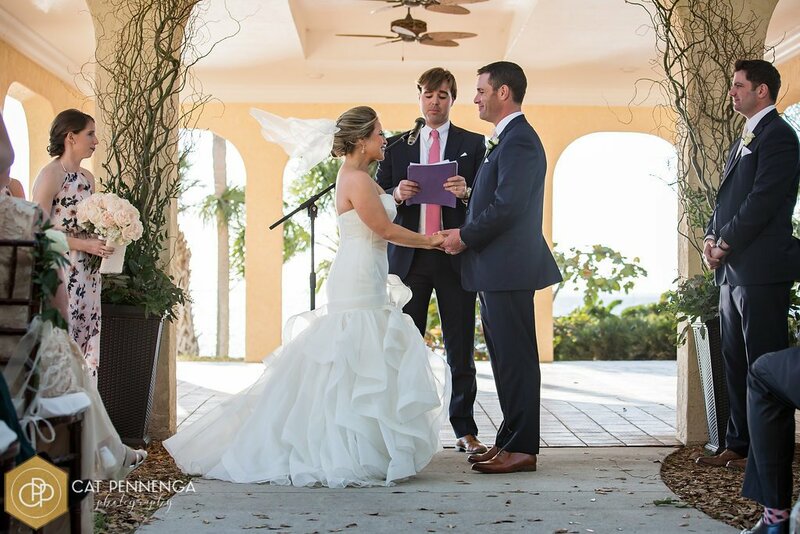 Exquisite roses were everywhere—even the groom had a double spray rose boutonniere! 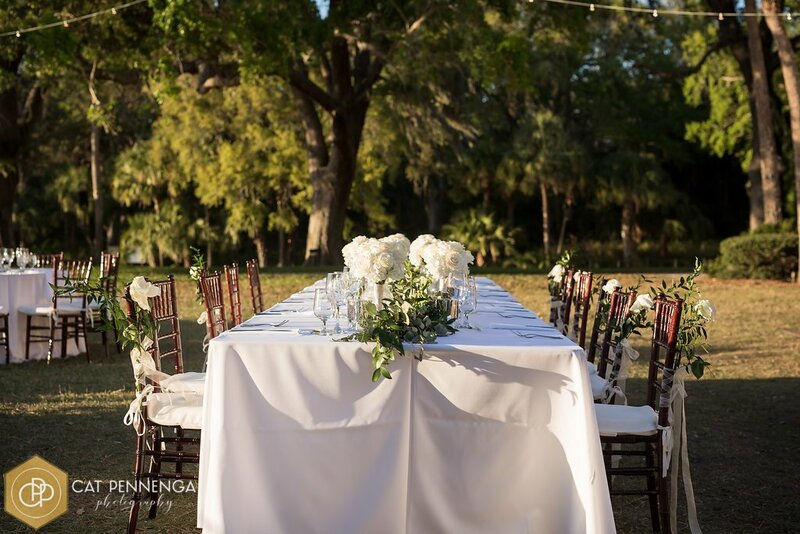 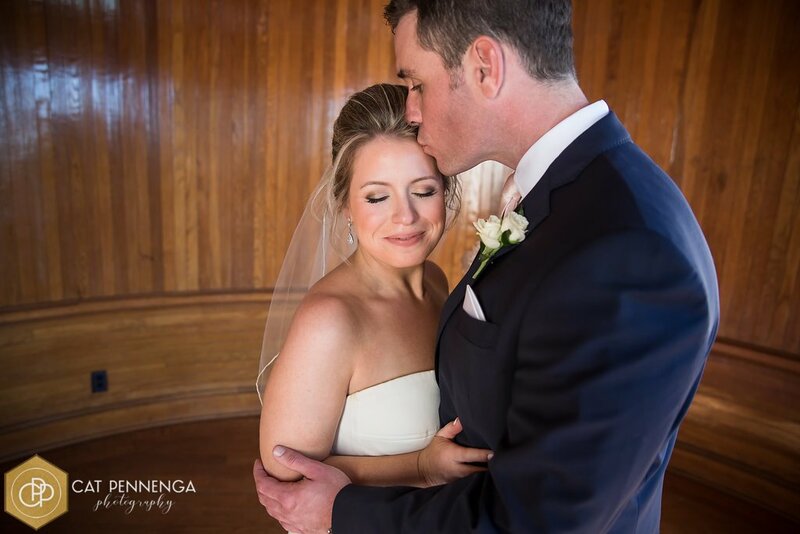 This wedding was simply stunning in every way—natural, lots of greenery and roses, and and such beauty at every turn!